New Socialist continues its series on the historical significance of the Russian revolution one hundred years later. This contribution is from anti-poverty activist, JOHN CLARKE. Those who carried out the Russian Revolution in 1917 saw it as a prelude to world-wide socialist revolution. Attempts to follow their example were, of course, unsuccessful and the Soviet Union itself succumbed to external forces and international contradictions. Still, they were not wrong. When global capitalism falls, the historical contributions of the Russian Revolution will be a potent force on the side of those who bring it down. The lessons of 1917 are of huge importance in helping us to grapple with the problems of today. A revolution transforms a crisis that is shaped by economic, social and political factors. It must be driven by the firm conviction of a great mass of people that the old ways are no longer tolerable but a political lead must also be given.1917 is the great example of a revolutionary upsurge that was not lost to ill-considered adventures or confused vacillation. The Bolsheviks were able to understand the situation and consciousness that was emerging and to win mass support for decisive action. On this basis, power was taken and held, in the face of enormous odds. Working-class people were awakened to political life as never before. An historical record and a body of vitally important writings are left with us that were created during the years of the Revolution. However, we are left with more than a revolutionary time capsule. The Russian Revolution tilted the balance of class forces internationally and inflicted a major wound to capitalism that never healed. The immediate revolutionary upsurge in other countries was contained but working-class struggles and wars for national liberation continued to be fought on the basis of the shift that 1917 had created. To this very day, trade unions and social movements engage in struggles with leaderships or leading activists who draw inspiration and understanding from the Russian Revolution. Today, the institutions of global capitalism are painfully aware that austerity and rampant inequality have produced a dangerous, seething mood of anger. It is volatile and highly contradictory in nature but even mainstream polling companies report that huge numbers, especially younger people, are drawing socialist conclusions. However, these emerging moods can only develop through mass resistance. Revolutionary socialism has the potential in such a situation to influence the course of events and, in doing so, create the struggles and forms of mass organization that can move us from the present defensive situation to going on the offensive and moving towards social transformation. 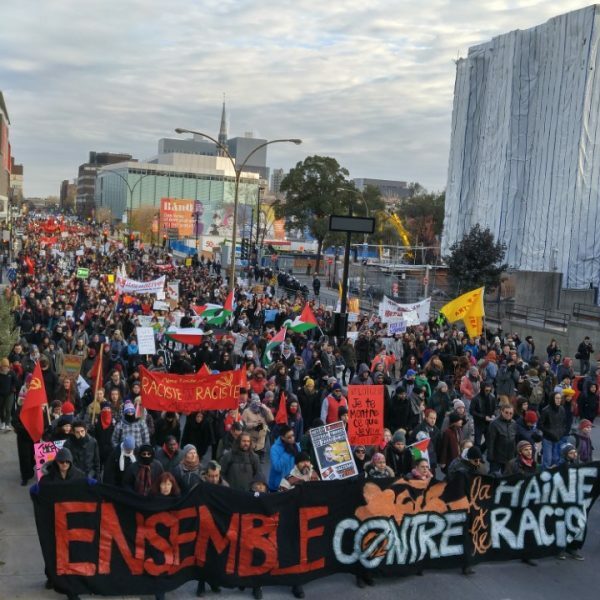 Broad movements must be built that unite all parts of the working class, including those who are the poorest and most “vulnerable.” They must be movements that challenge all forms of bigotry and racism, and unite with those who self-organize in the face of such attacks. The struggles they take up must be based on the needs of workers and communities and not the willingness or even the ability of a historically bankrupt system to meet those needs. As in Russia in the years leading up to 1917, those who have drawn revolutionary conclusions must organize and fight to win the mass of working-class people to those ideas. But, to do that, they can’t function as self-proclaimed vanguards. They must win trust and support, partly by explaining their ideas patiently and respectfully, but even more by advancing strategies and tactics that lead to ever more radical conclusions being drawn by ever greater numbers of people. That means playing a role in limited and even contradictory movements and struggles. It means a political practice that has much in common with the example set by the Bolsheviks in Russia. The failings of capitalism are ever more glaring. The neoliberal decades have been brutal. The “recovery” that has unfolded since the Great Recession has been shockingly dismal. Imperialist aggression has become so pervasive that the term “endless war” has come into use. The rising menace of climate change, resource depletion, and pollution casts a shadow over the very future of life on this planet. Anti-capitalist conclusions are ever easier to draw and a struggle for a socialist future is ever more compelling. 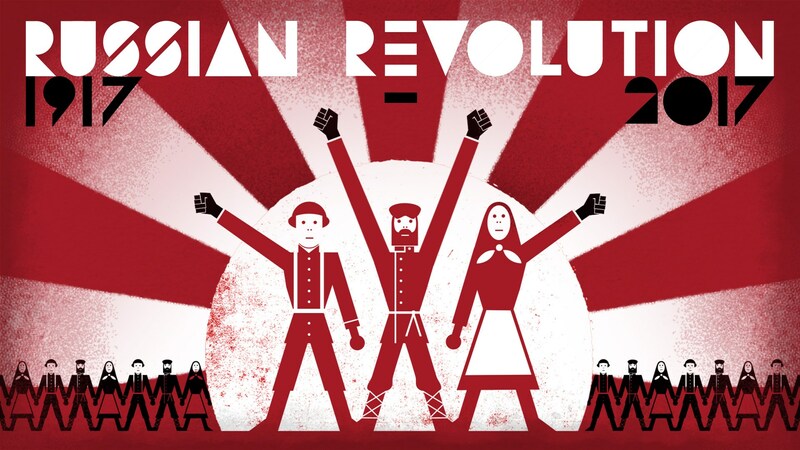 A hundred years after the Russian Revolution both its lessons and its enduring influences make it profoundly relevant as an overture of world revolution. John Clarke is a Toronto-based organizer with the Ontario Coalition Against Poverty (OCAP).